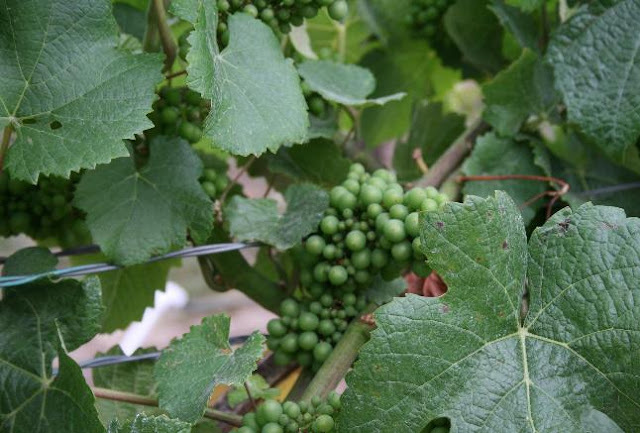 Since the 1990s, interest and plantings of red grape varieties have been steadily on the rise. 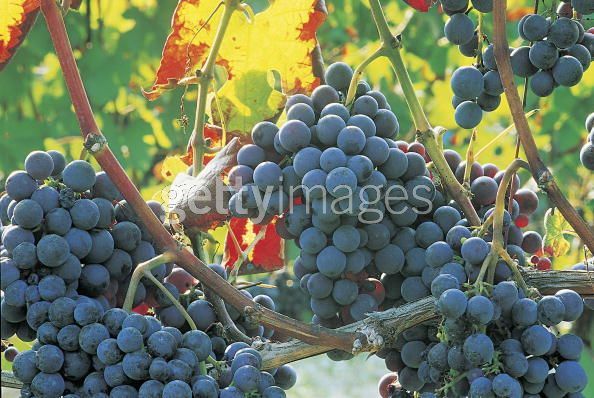 In the late 1990s, less than 18% of all the grapes grown in South Africa were red. By 2003 that number has risen to 40% and was still trending upwards. For most of the 21st century, the high yielding Cinsaut was the most widely planted red grape variety but the shift in focus to quality wine production has saw plantings of the grape steadily decline to where it represented just 3% of all South Africa vineyards in 2004. In its place Cabernet Sauvignon, Shiraz and Pinotage have risen to prominence with Cabernet Sauvignon being the most widely red grape variety covering 13% of all plantings in 2006. 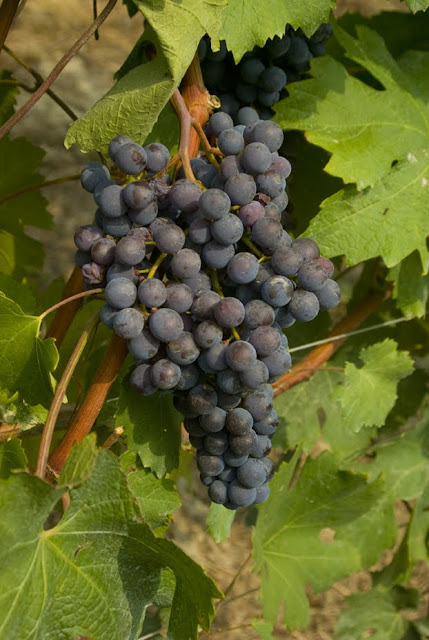 Other red grape varieties found in South Africa include Carignan, Gamay (often made in the style of Beaujolais wine with carbonic maceration, Grenache, Pontac, Ruby Cabernet, Tinta Barroca and Zinfandel. There is a wide range of lesser known groups that are used to feed the country's still robust distilled spirits and fortified wine industry. These grapes usually produce bland, neutral wine that lends itself well to blending and distillation but is rarely seen as varietal bottlings. These include Belies, False Pedro, Kanaän, Raisin blanc, Sultana and Servan. 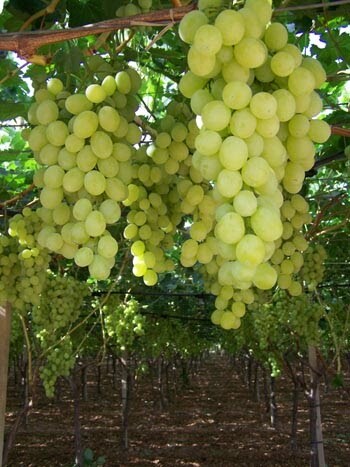 Grape varieties in South Africa are known as cultivar, with many common international varieties developing local synonyms that still have a strong tradition of use. 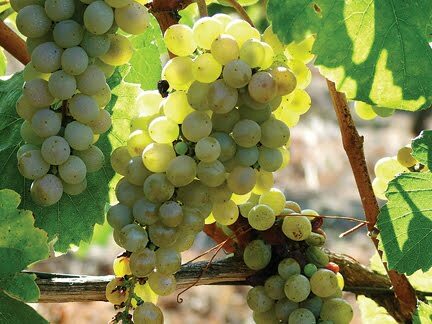 These include Chenin blanc (Steen), Riesling (known locally as Weisser Riesling), Crouchen (known as Cape Riesling), Palomino (the grape of the Spanish wine Sherry known locally as "White French"), Trebbiano (Ugni Blanc), Sémillon (Groendruif) and Muscat of Alexandria (Hanepoot). 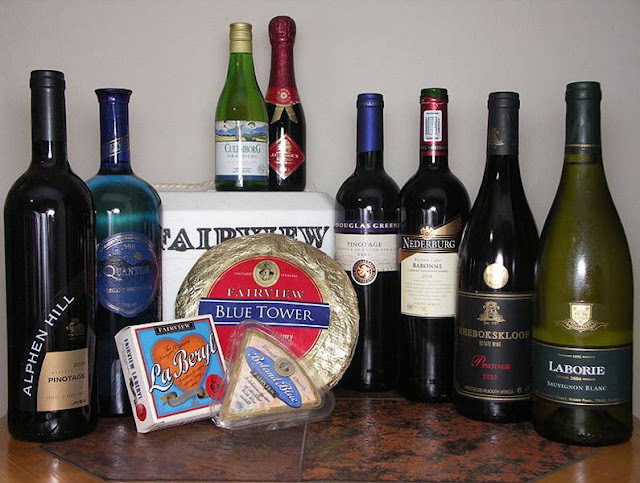 However, wines that are often exported overseas will usually have the more internationally recognized name appear on the wine label. 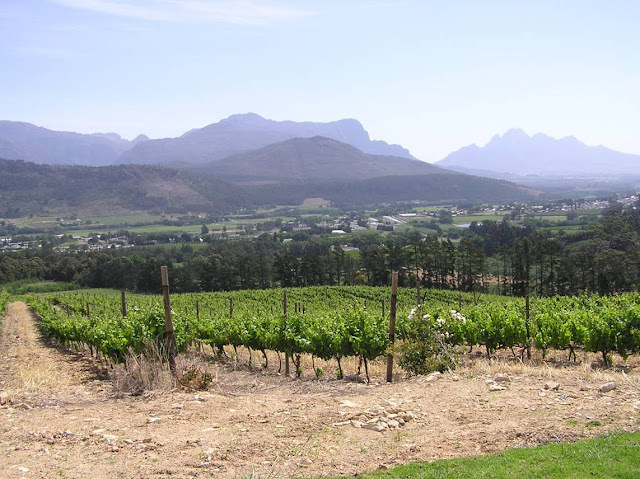 In 2006, SAWIS (South African Wine Information and Systems) reported that the country had 100,146 hectares of vineyards, with about 55 percent planted to white varieties. 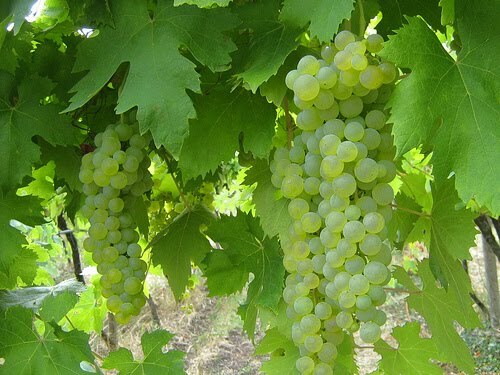 Chenin blanc has long been the most widely planted variety, still accounting for at least one-fifth of all grape varieties planted in South Africa as of 2004 though that number is decreasing. 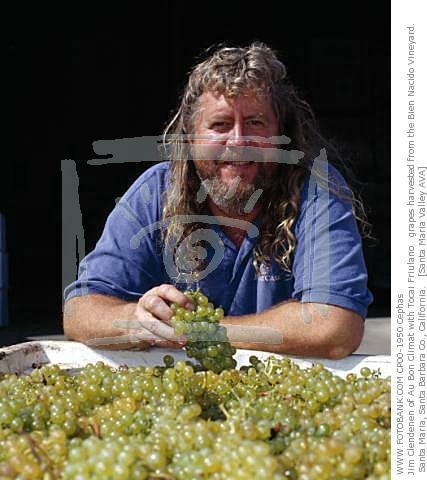 In the 1980s and 1990s, interest in international varieties saw increase in plantings of Chardonnay and Sauvignon blanc. 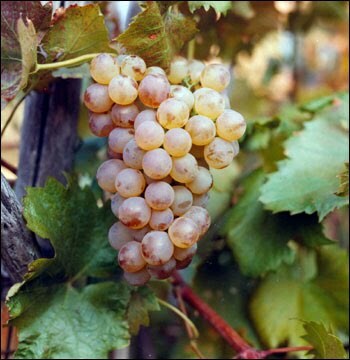 Other white grape varieties with significant plantings include Colombard (spelled locally as Colombar), Cape Riesling, Gewürztraminer, Hannepoot, Muscat Blanc à Petits Grains, Riesling and Sémillon. 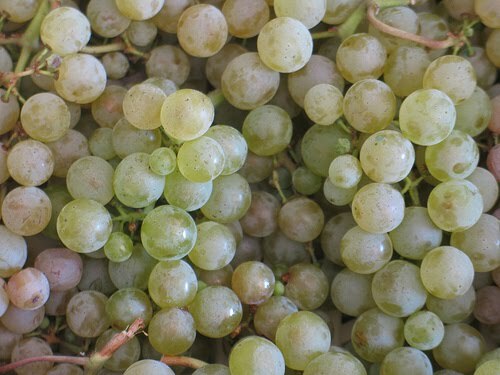 Both red and white mutants of Muscat Blanc à Petits Grains as well as Chenel and Weldra, two Chenin blanc-Ugni blanc crossings, are used for brandy distillation and fortified wine production. 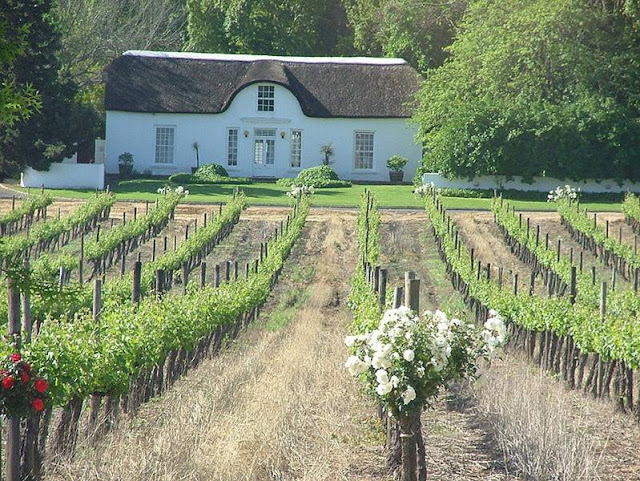 SOUTH AFRICA IS ONE FO THE WORLD’S MOST EXCITING WINE PRODUCING COUNTRIES. As of 2003, South Africa was 17th in terms of acreage planted with the country owning 1.5% of the world's grape vineyards with 270,600 acres (110,000 hectares). Yearly production among South Africa's wine regions is usually around 264 million gallons (10 million hl) which regularly puts the country among the top ten wine producing countries in the world. 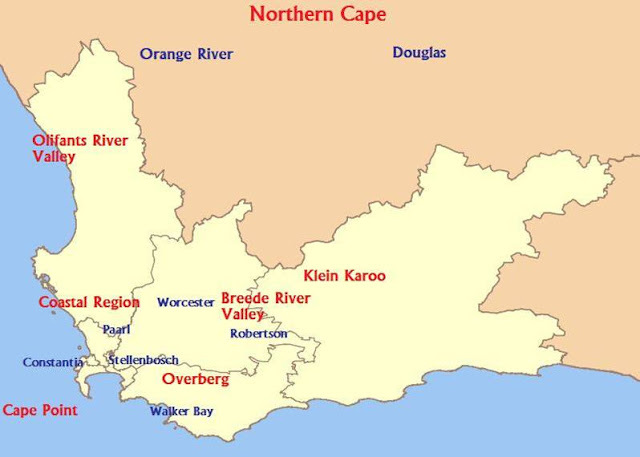 The majority of wine production in South Africa takes place in the Cape Province, particularly the southwest corner near the coastal region. South African wine has a history dating back to 1659, and at one time Constantia was considered one of the greatest wines in the world. Access to international markets has unleashed a burst of new energy and new investment. Production is concentrated around Cape Town, with major vineyard and production centres at Paarl, Stellenbosch and Worcester. There are about 60 appellations within the Wine of Origin (WO) system, which was implemented in 1973 with a hierarchy of designated production regions, districts and wards. 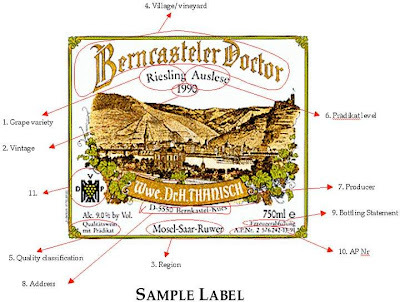 WO wines must be made 100% from grapes from the designated area. "Single vineyard" wines must come from a defined area of less than 5 hectares. An "Estate Wine" can come from adjacent farms, as long as they are farmed together and wine is produced on site. A ward is an area with a distinctive soil type and/or climate, and is roughly equivalent to a European appellation. 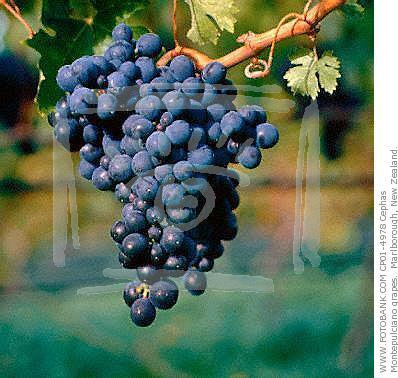 vAglianico - Considered the "noble varietal of the south," it is primarily grown in Campania and Basilicata. The name is derived from Hellenic, so it is considered a Greek transplant. Thick skinned and spicy, the wines are often both rustic and powerful. v Sagrantino - A native to Umbria, it is only planted on 250 hectares, but the wines produced from it (either blended with Sangiovese as Rosso di Montefalco or as a pure Sagrantino) are world-renowned. 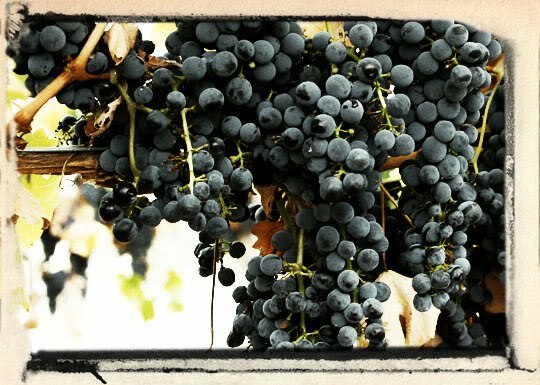 Inky purple, with rustic brooding fruit and heavy tannins, these wines can age for many years. vTocai Friulano - A varietal distantly related to Sauvignon Blanc, it yields the top wine of Friuli, full of peachiness and minerality. Currently, there is a bit of controversy regarding the name, as the EC has demanded it changed to avoid confusion with the Tokay dessert wine from Hungary. v Ribolla Gialla - A Slovenian grape that now makes its home in Friuli, these wines are decidedly old-world, with aromas of pineapple and mustiness. 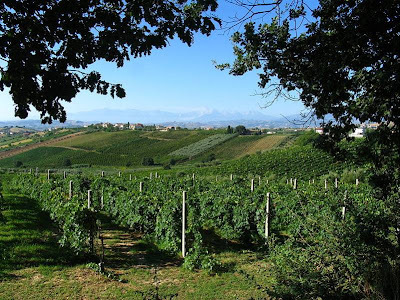 v Arneis - A crisp and floral varietal from Piedmont, which has been grown there since the 15th century. v Malvasia Bianca - Another white varietal that peeks up in all corners of Italy with a wide variety of clones and mutations. Can range from easy quaffers to funky, musty whites. v Pigato - A heavily acidic varietal from Liguria, the wines are vinified to pair with a cuisine rich in seafood. 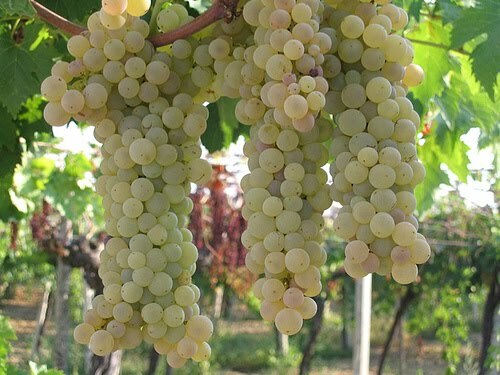 vFiano (wine) - Grown on the southwest coast of Italy, the wines from this grape can be described as dewy and herbal, often with notes of pinenut and pesto. vSangiovese - Italy's claim to fame, the pride of Tuscany. Its wines are full of cherry fruit, earth, and cedar. 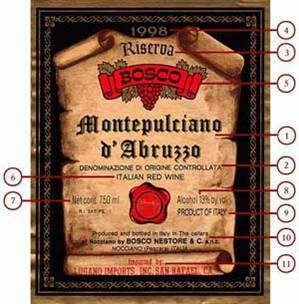 It produces Chianti Classico, Rosso di Montalcino, Brunello di Montalcino, Rosso di Montepulciano, Montefalco Rosso, and many others. 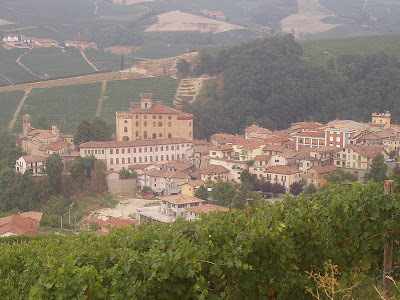 v Nebbiolo - The most noble of Italy's varietals. The name (meaning "little fog") refers to the autumn fog that blankets most of Piedmont where it is grown, a condition the grape seems to enjoy. It is a somewhat difficult varietal to master, but produces the most renowned Barolo and Barbaresco, made in province of Cuneo, along with the lesser-known Sforzato, Inferno and Sassella made in Valtellina, Ghemme and Gattinara, made in Vercelli's province. The wines are known for their elegance and bouquet of wild mushroom, truffle, roses, and tar. v Montepulciano- The grape of this name is not to be confused with the Tuscan town of Montepulciano; it is most widely planted on the opposite coast in Abruzzo. 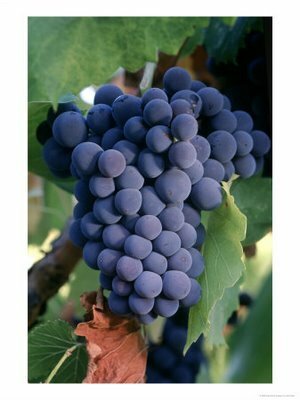 Its wines develop silky plum-like fruit, friendly acidity, and light tannin. 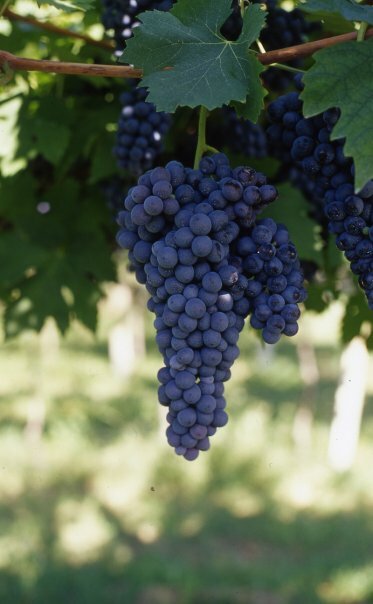 v Barbera - The most widely grown red wine grape of Piedmont and Southern Lombardy, most famously around the towns of Asti and Alba, and Pavia. The wines of Barbera were once simply "what you drank while waiting for the Barolo to be ready." With a new generation of wine makers, this is no longer the case. The wines are now meticulously vinified, aged Barbera gets the name "Barbera Superiore" (Superior Barbera), sometimes aged in French barrique becoming "Barbera Barricato", and intended for the international market. The wine has bright cherry fruit, a very dark color, and a food-friendly acidity. 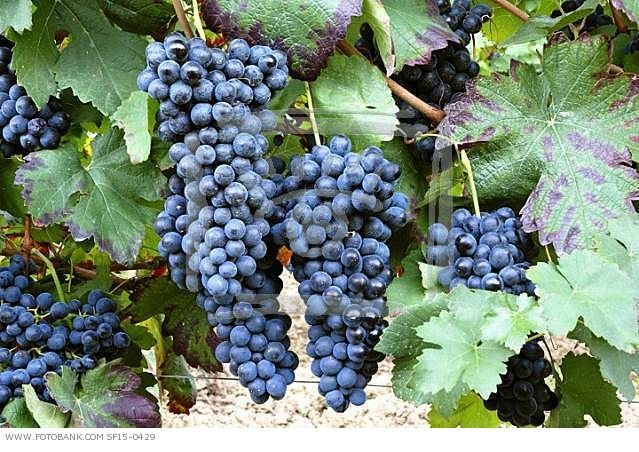 vCorvina - Along with the varietals rondinella and molinara, this is the principal grape which makes the famous wines of the Veneto: Valpolicella and Amarone. Valpolicella wine has dark cherry fruit and spice. After the grapes undergo passito (a drying process), the Amarone they yield is elegant, dark, and full of raisin like fruits. Some Amarones can age for 40+ years. 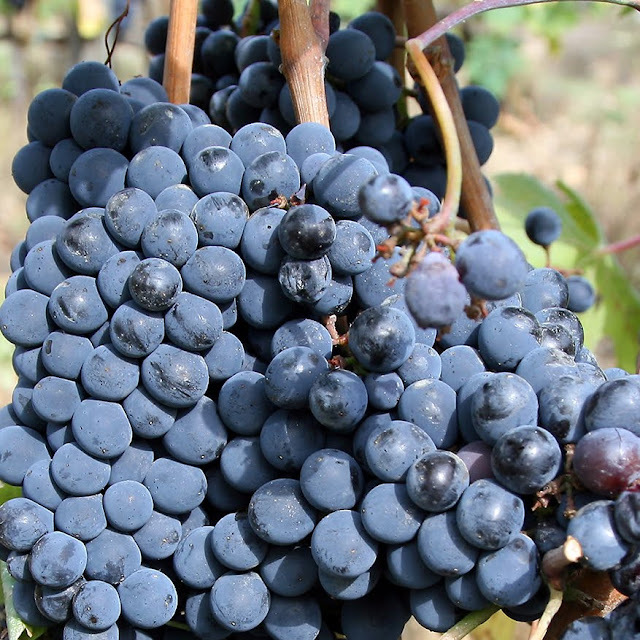 v Nero d'Avola - Nearly unheard of in the international market until recent years, this native varietal of Sicily is gaining attention for its robust, inky wines, and has therefore been nicknamed "the Barolo of the South". v Dolcetto - A grape that grows alongside Barbera and Nebbiolo in Piedmont, its name means "little sweet one"", referring not to the taste of the wine, but the ease in which it grows and makes great wines, suitable for everyday drinking. Flavors of concord grape, wild blackberries and herbs permeate the wine. v Negroamaro - The name literally means "black and bitter". A widely planted grape with its concentration in the region of Puglia, it is the backbone of the acclaimed Salice Salentino: spicy, toasty, and full of dark red fruits. 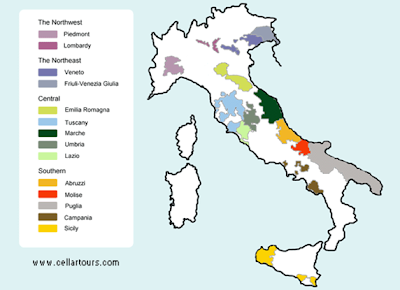 Italy's 20 wine regions correspond to the 20 political regions. Understanding of Italian wine becomes clearer with an understanding of the differences between each region; their cuisines reflect their indigenous wines, and vice-versa. The 36 DOCG wines are located in 13 different regions but most of them are concentrated in Piedmont and Tuscany. Among these are appellations appreciated and sought by wine lovers around the world: Barolo, Barbaresco, Brunello and Chianti Classico. 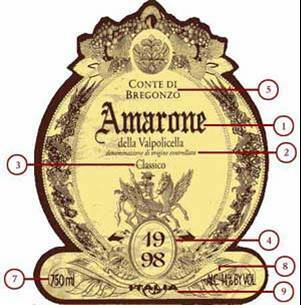 Despite its high quality Amarone is not classified as a DOCG. Vino da Tavola (VDT) - Denotes wine from Italy. NOTE: this is not always synonymous with other countries' legal definitions of 'table wine'. 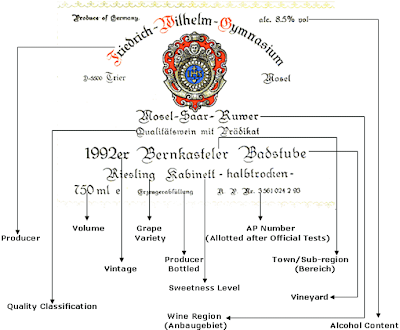 The appellation indicates either an inferior qualifying wine, or one that does not follow current wine law. Some quality wines do carry this appellation. 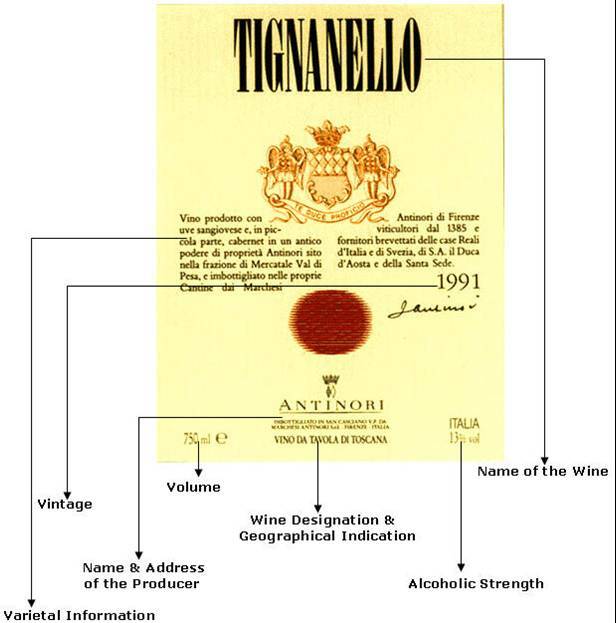 Indicazione Geografica Tipica (IGT) - Denotes wine from a more specific region within Italy. This appellation was created for the "new" wines of Italy, those that had broken the strict, old wine laws but were wines of great quality. 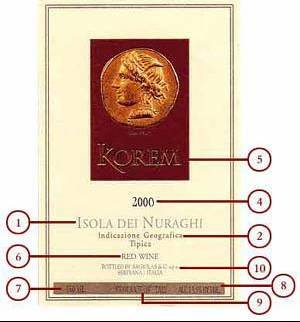 Before the IGT was created, quality "Super Tuscan" wines such as Tignanello and Sassicaia were labeled Vino da Tavola. 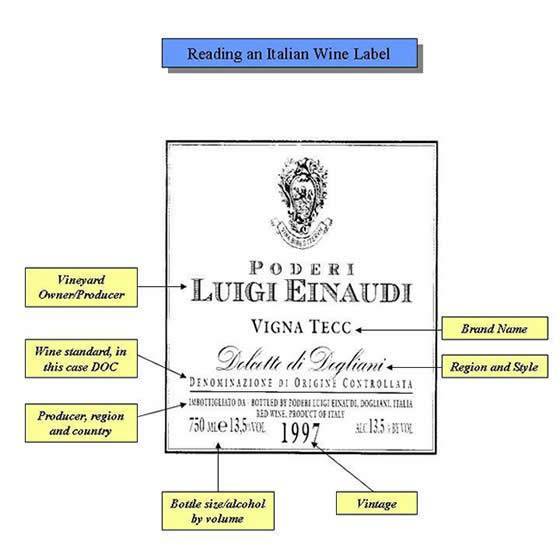 Both DOC and DOCG wines refer to zones which are more specific than an IGT, and the permitted grapes are also more specifically defined. 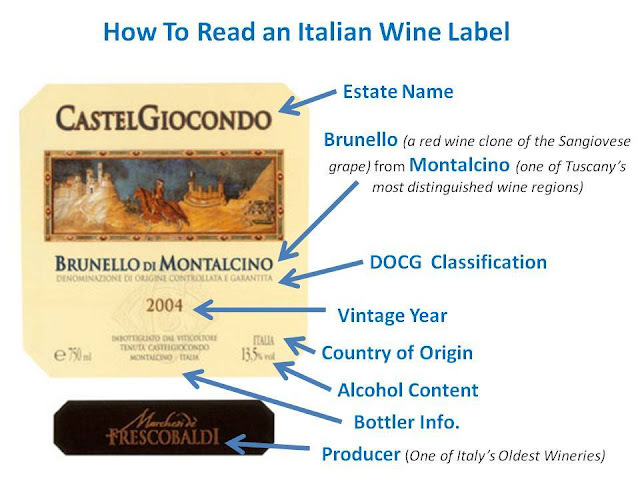 The main difference between a DOC and a DOCG is that the latter must pass a blind taste test for quality in addition to conforming to the strict legal requirements to be designated as a wine from the area in question. Presently, there are 120 IGT zones. 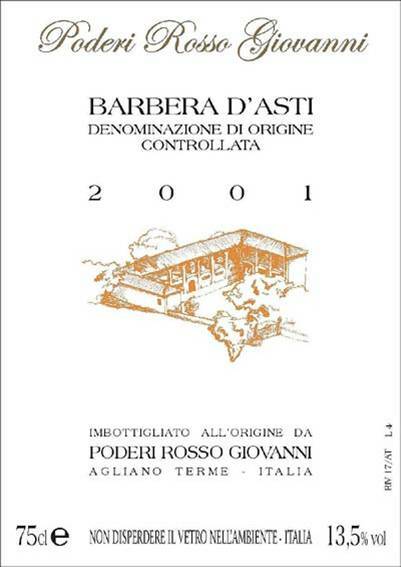 In February 2006 there were 311 DOC plus 36 DOCG appellations. 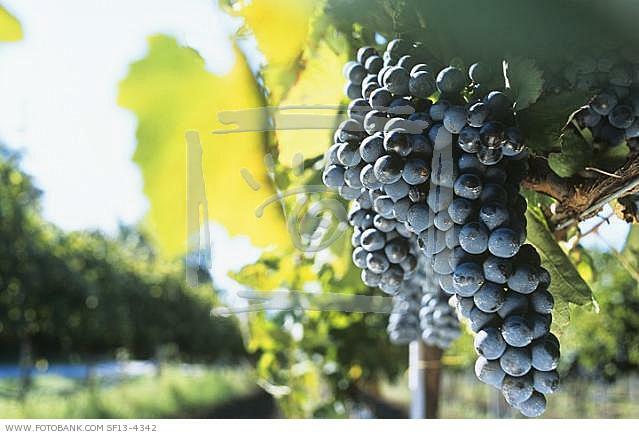 Although wines had been elaborated from the wild Vitis vinifera grape for millennia, it wasn't until the Greek colonization that wine-making flourished. 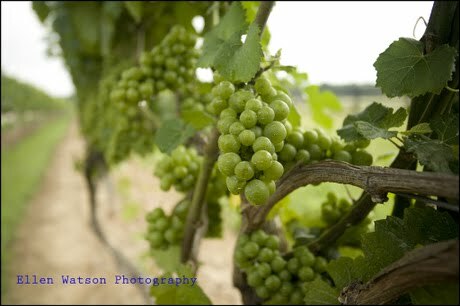 Viticulture was introduced into Sicily and southern Italy by the Mycenaean Greeks, and was well established when the extensive Greek colonization transpired around 800 BC. It was during the Roman defeat of the Carthaginians (acknowledged masters of wine-making) in the second century BC that Italian wine production began to further flourish. Large-scale, slave-run plantations sprang up in many coastal areas and spread to such an extent that, in AD92, emperor Domitian was forced to destroy a great number of vineyards in order to free up fertile land for food production. Italian wine is wine produced in Italy, a country which is home to some of the oldest wine-producing regions in the world. Etruscans and Greek settlers produced wine in the country long before the Romans started developing their own vineyards in the 2nd century BC. Roman grape-growing and winemaking was prolific and well-organized, pioneering large-scale production and storage techniques like barrel-making and bottling. Two thousand years later, Italy remains one of the world's foremost producers, responsible for approximately one-fifth of world wine production in 2005. Wine is a popular drink in Italy. Grapes are grown in almost every part of Italy, with more than 1 million vineyards under cultivation. In some places the vines are trained along low supports. In others they climb as slender saplings. Most wine-making in Italy is done in modern wineries. 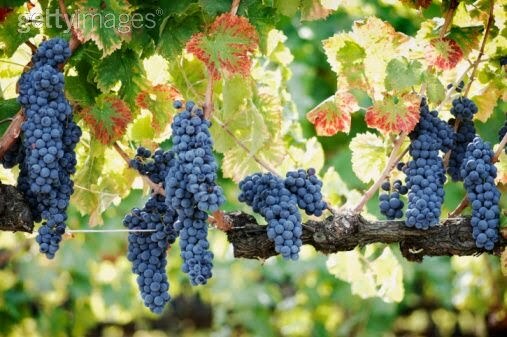 However, villagers who make wine for their own use sometimes still tread the grapes with their bare feet, until the juice is squeezed out. They believe this ancient method still makes the best wine. The glass is the last link between a finely brewed beer and your cus­tomer. A clean glass is necessary in order to serve beer at its best—it assures your clientele of the best in taste and eye appeal and tells them that you value their business. How can you maintain your glassware to keep customers coming back again and again? The most effective system is a three-compartment sink. Sink number one has an overflow pipe with a funnel strainer in which residue from beer glasses is poured (all sinks have overflow pipes to maintain a constant water level). This sink is filled with warm water and glass cleaner. Sink number two is the rinsing compartment, filled with cool water. A slow but steady stream of cool water should be allowed to run into this compartment throughout the washing operation. Sink number three is the sanitizer, filled with clean cool water. Where required or preferred it contains a carefully measured amount of steri­lizing compound. 1.Thoroughly clean your sinks prior to washing glasses. 2. Empty all contents of the glasses into the funnel located in sink number one. Scrub the glasses vigorously using a low-suds glass-cleaning detergent and, wherever possible, motorized brushes. Use odor-free, nonfat cleaning compounds made especially for beer glass cleaning; oil-based detergents can leave a film on glasses. 3. Thoroughly rinse the glasses in the fresh, cool water that should be constantly flowing into sink number two. Always place the glass bottom down in the rinse to eliminate the chance of air pockets forming and/or improper rinsing. 4. Repeat the same rinse operation in the third sink. Remember that many states require the use of sanitizers. If sanitizers are used, measure the amount very carefully to insure that no odor or taste is left on the glass. 5. Air dry the glass by placing it upside down on a deeply corrugated drain board, which allows air to enter the inverted glass and com­plete the drying operation by evaporation. Never dry glasses with a towel or place them on a towel or on a flat surface such as a bar or countertop. Residue from bleaches or detergents in cloth can impart an odor to the glass and spoil the delicate flavor of the beer. 1.Start with a sparkling clean glass that has been wetted in cold water. Place the glass at an angle, about one inch below the faucet. Open the faucet quickly, all the way. 2. Fill the glass until it is half full, gradually bringing it to an upright position. 3. Let the remaining beer run straight down the middle. This insures a ½" to 1" head. It is important to remember that it should be served with a good foam head, and that a perfect glass of beer shows a ring of foam after every delicious sip. Beer should be served at a temperature of 8°-12°C, with lagers generally cooler than other beers. Many different varieties of beers are also served chilled. Also draught beer on its route from the Keg/Cask to the pump often passes through a chilling unit. Draught beers should have a small head on them, and the bar person should ensure that he/she serves the correct quantity of beer with a small head and not a large head to make up the quantity required. When pouring bottled beer, it should be poured down the inside of the glass which is held at a slight angle. It should be poured slowly. This is specially important where a beer works a lot and many produce a large head quickly if it is not poured slowly and carefully. Such beers are Guinness and Stouts. All glasses used should be spotlessly clean with no finger marks, grease or lipstick on them. Pouring beer into a dirty glass will cause it to go flat very quickly. Where bottles have a sediment, when pouring, a little beer must be left in the base of the bottle holding the sediment back. 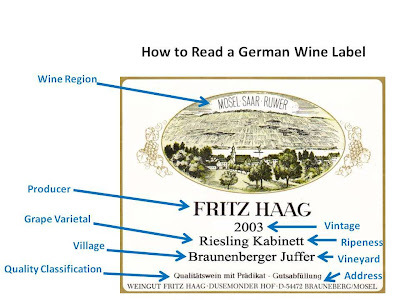 Abbreviation for Amtliche Prüfungsnummer, the official testing number displayed on a German wine label that shows that the wine was tasted and passed government quality control standards. 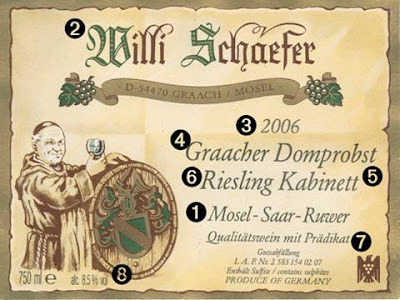 1.Spätburgunder: The forefather of the burgundy wines. Dark red colour with delicate aroma. Typical is a taste that reminds of blackcurrant or blackberry. 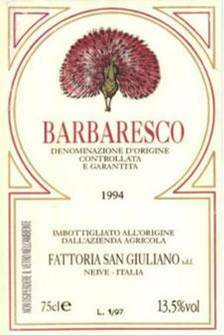 These noble wines are good with game, poultry, paté de fois gras, pasta and pizza. The colour stays in the berry involucres and creates, therefore, a salmon-coloured fresh wine that is especially consumed in summer. 2.Trollinger: Southern Tyrol is the original homeland of the Trollinger from where the name is derived from. Today, it is almost exclusively cultivated in Wurttemberg. A light and fruity wine that varies in its colour between salmon-red and ruby-red. A good Trollinger tastes juicy and is served lightly cooled. 3.Muskattrollinger: Fruity, bright red wine with distinctive nutmeg aroma. Rare speciality, good with Hors d’oeuvres and desserts. 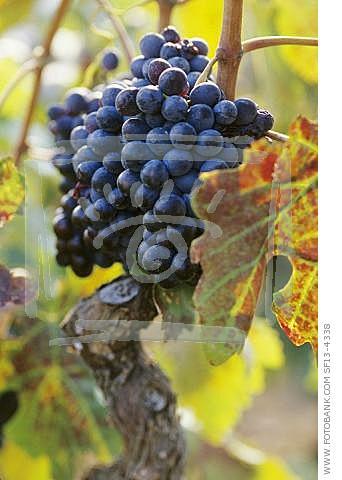 4.Lemberger (Blaufrankisch): a warm and aromatic wine. The colour is a glowing ruby-red with some brown reflections. Powerful red wine, one of the most noble types. 5.Dornfelder: Deep purple, dense colour. Noble red wine with a full body and full aroma and flavour. Excellent for the production in small wooden barrels (barrique). 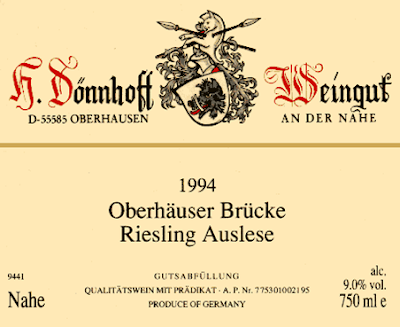 6.Samtrot: A natural mutation of the black Riesling. Ruby-red to dark red colour. Velvety taste, warm and full bodied.